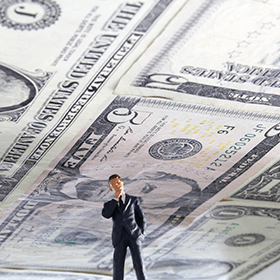 Debt Ceiling Set to Increase - Will it Uncap Gold? Debt Ceiling Increase to Uncap Gold? Traders assumed Congress was nearing a deal to resolve the budget impasse last week -- selling precious metals and buying stocks. But President Obama rejected the deal proposed by House Republicans after the markets closed Friday. And traders are now reversing themselves this morning and buying safe-haven assets, including gold and silver. In the very short term, markets are trading on the probability of a bargain in DC to reopen government and increase the federal government's borrowing limit. And, for the moment, those prospects are dimmed. If lawmakers can't reach a deal by Thursday's debt ceiling deadline imposed by the Treasury Department, federal finances will enter uncharted territory. But it could go either way, which makes it a risky time to be in the futures markets trading on leverage. Smart investors will continue to steadily accumulate gold and silver over time, and always keep some dry powder and be ready for an opportunity. Should the current impasse morph into a larger government funding crisis and turmoil in the financial markets, gold and silver will likely be big beneficiaries. During the 2008 financial crisis, investors flocked to government bonds. With all the current dysfunction in Washington, investors are more inclined to reduce their holdings of Treasuries -- which are technically at risk of default in a few weeks -- and metals stand to benefit as one of the only remaining "go-to" assets for investors seeking shelter. However, we consider it extremely unlikely that lawmakers and the President will allow any such crisis to develop. Investors should expect Congress to make a deal. And based on recent patterns, any "deal" could precipitate a short-term move lower in metals prices. Therein lies opportunity. Because any Congressional bargain to raise the debt ceiling assures continued out-of-control borrowing and spending; bad news for the dollar and good news for metals. 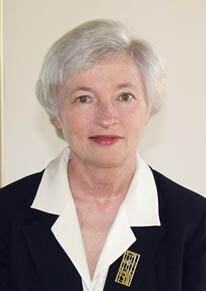 President Obama officially nominated Janet Yellen for Fed Chair last week. The nomination came as no surprise once Larry Summers, another long-time government insider, stepped aside last month. The budget debate largely overshadowed the announcement, but investors should not underestimate the significance. Yellen is a socialist who views monetary policy as a central planning tool to impose a social order, and she is no friend of a strong dollar or a disciplined monetary policy. As a current Vice-Chair, she often criticizes the Fed's unprecedented amounts of stimulus as inadequate and believes the Fed can do even more to promote growth. In 2010, she floated the idea of taking the Fed funds rate, currently just above zero, into negative territory. Not only could banks be paid to borrow money, but such a policy could also force savers to pay a bank for holding their money! Under Yellen's leadership, we expect an even more inflationary Fed. Look for the metals markets to increasingly factor that in as the moment approaches when outgoing Fed Chairman Ben Bernanke hands over the reins (January 2014). Today, Columbus Day, is a bank holiday but Money Metals Exchange is open for business. A number of key reports on economic data remain delayed until the bureaucracies that produce them re-open. These include the following reports originally scheduled for this week: Consumer Price Index, Industrial Productions, Jobless Claims and Housing Starts. Wednesday, Oct. 16th – Philadelphia Fed Business Outlook Survey. Survey respondents were significantly more optimistic in September, but the uncertainty currently reigning in Washington DC is likely to be weighing on their minds this month.